Derby County boss Frank Lampard was sent off for the first time in his managerial career as the Rams lost 1-0 at Rotherham United. 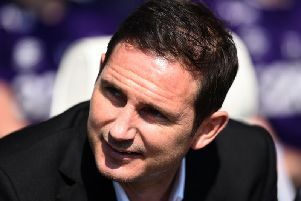 The visitors slipped to seventh after losing to a disputed penalty that angered Lampard. Click on a gallery of match action photos by Jez Tighe to relive some of the action.